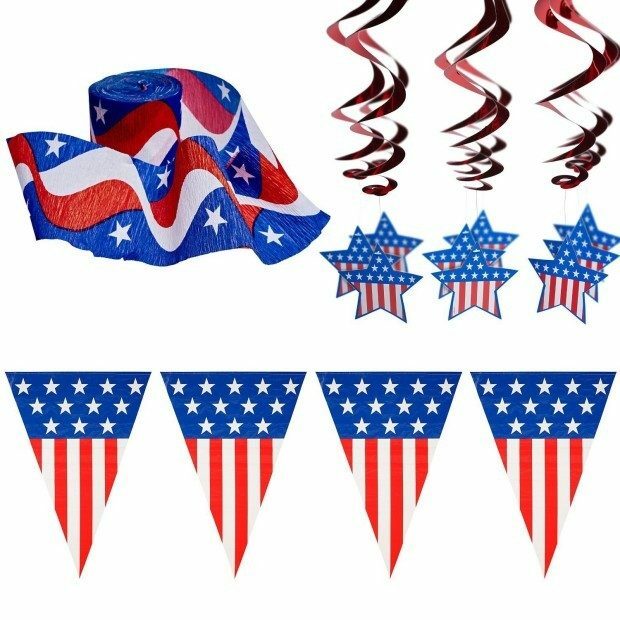 4th Of July Patriotic Decorations Party Pack Only $23.97! You are here: Home / Holidays / 4th Of July / 4th Of July Patriotic Decorations Party Pack Only $23.97! Still time to get decorations for your holiday party! Get the 4th Of July Patriotic Decorations Party Pack for Only $23.97! This pack includes crepe streamer, pennant banner, and swirls with stars! So festive!